The gyro features lamb and beef, lettuce, tomato, onion and fresh tzatziki on a warm pita roll. Wistful views of the Mykonos and Santorini? Check. Traditional Mediterranean music filling the airspace? Check. Baklava to die for? Check. After spending a little time at the Greek Kitchen (343 S. Kirkwood Road, Kirkwood; 314-462-9112), it's easy to forget you're in Kirkwood and not southeast Europe. Owners Lisa Nicholas and Joe Kandel will tell you that is by design. Most traces of American culture are left at the door. You won't find a Bud Light or a sports game on the TV here, but rather families gathering to dine over a classic Greek meal. Nicholas was raised in a Greek Orthodox household with roots in Thessaloniki. She has worked in the Greek restaurant business since 1980. Kandel comes from a baking background, which translated well to working with phyllo for the restaurant's various desserts. In the baklava alone, there are 27 sheets of individually layered and buttered sheets of phyllo. "He's like a professional baklava maker," Nicholas says of Kandel, who is also her fiance. 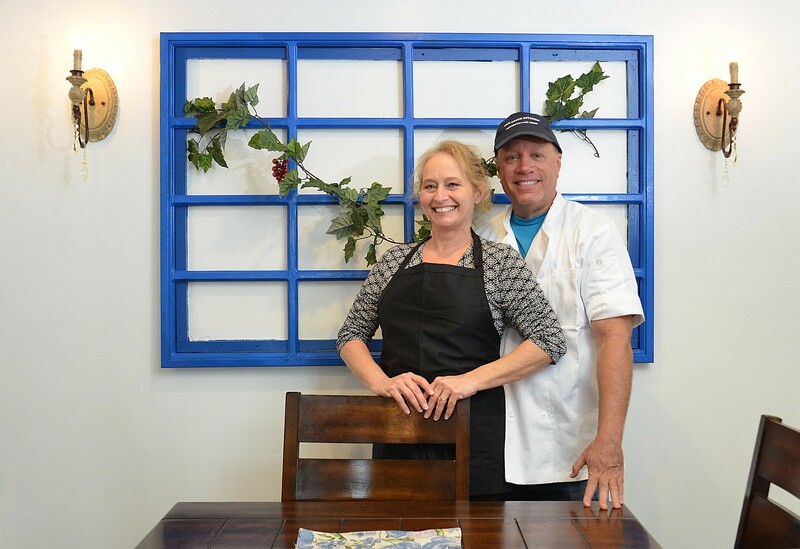 Lisa Nicholas and Joe Kandel are co-owners of Greek Kitchen. The pair are also engaged. The menu offers some playful takes on Greek food, such as the "Philly Gyro" and a "Greek Pita Pizza," but more items than not appeal to hardline traditionalists, something Nicholas and Kandel take great pride in. When Kandel asked one native Greek patron what he thought of his pastitsio, he told Kandel only one word in broken English, "Home." "If [we] have their acceptance, then we're doing something right," Nicholas says. An appetizer and crowd favorite, saganaki, is a warm kasseri cheese coated with brandy and lemon and lit on fire tableside. 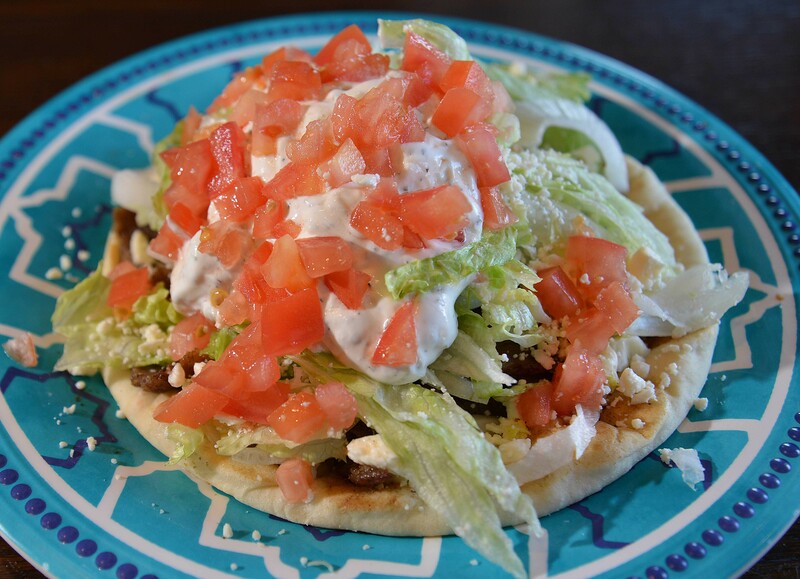 The gyro features seasoned lamb and beef, lettuce, tomato, onion, feta and fresh tzatziki sauce on a pita roll. Behind the bar are other popular Greek choices — ones good for drinking. 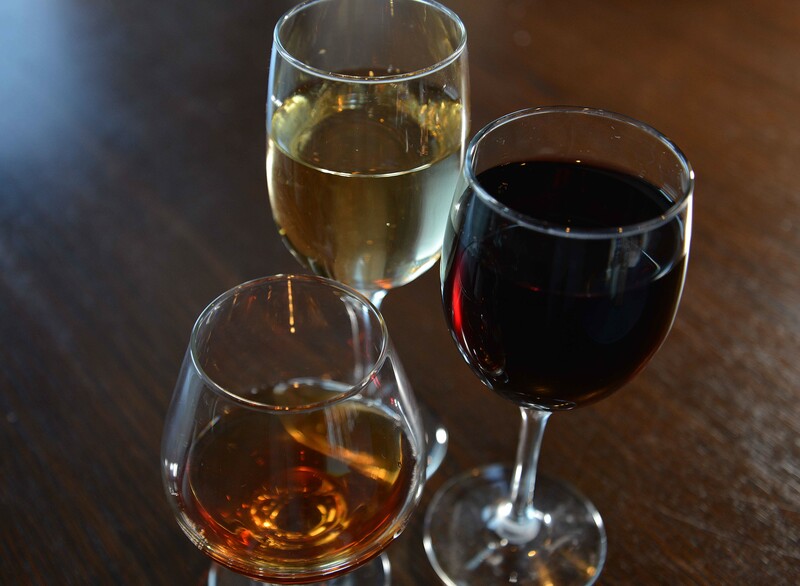 That includes popular liquors, ouzo and metaxa, Mythos and Alfa for beer lovers and a variety of Greek wines as well. Nicholas and Kandel have chosen not to implement a full bar and instead to stay true to Greece. 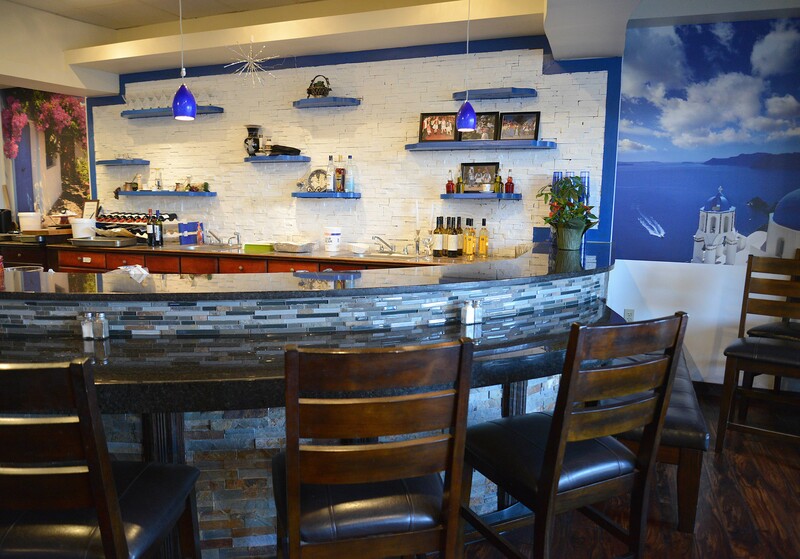 The semi-circle bar at Greek Kitchen is bookended by images of Greek landscapes. The insistence on Greek details carries over to the space. 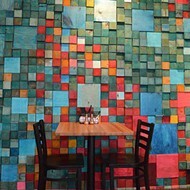 Blue and white motifs — an homage to the Greek flag — repeat on the walls, menu and light fixtures. A statue of the goddess Dione fills a well-lit nook on the wall. 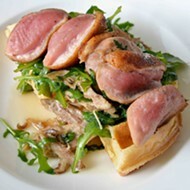 Festive Greek music plays on the airwaves to complete the dining experience. 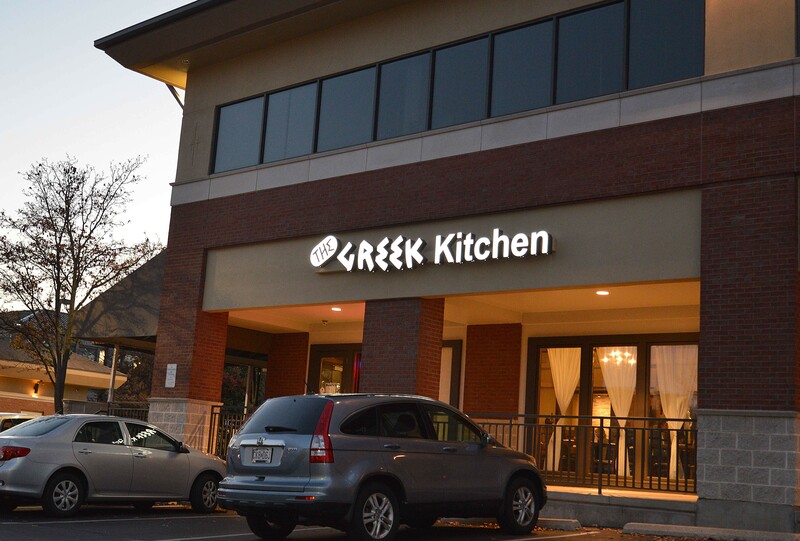 The Greek Kitchen originally opened in Ellisville, but closed its doors in July 14, citing the difficulty of getting good help in the affluent west county suburb. On August 9, it reopened in Kirkwood. The Greek Kitchen is open at 11 a.m. each day and closes at 8 or 9 p.m. depending on the day. Scroll down for more photos. 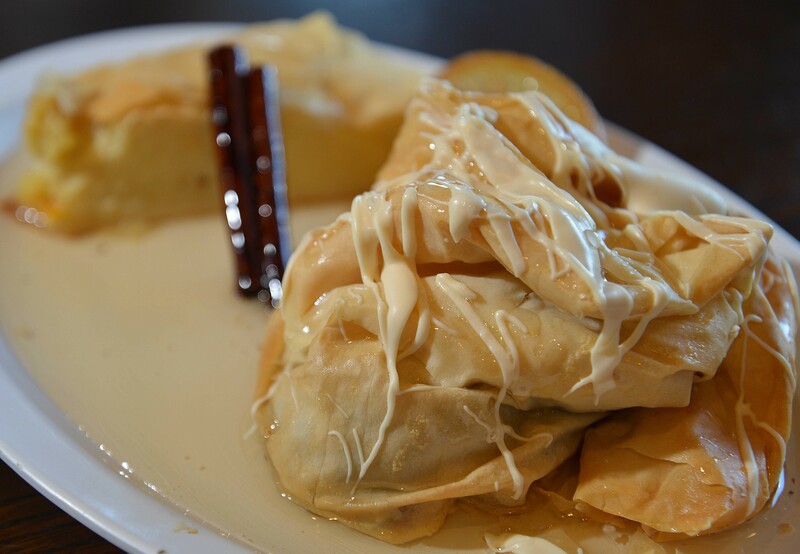 Savory chocolate baklava is served with cinnamon sticks and galaktoboureko. All of the spirits behind the Greek Kitchen's bar are from Greece. While owners Lisa Nicholas and Joe Kandel admit they may make more money if they could serve gin and tonics or Bud Lights, they have chosen to stay true to their commitment to Greek culture and cuisine. Greek Kitchen is on S Kirkwood Rd. just north of the Magic House.